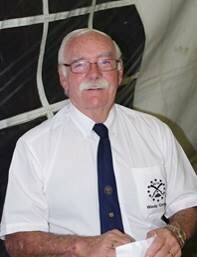 It is with great sadness that we report the Sunset Call of Moth Colin McCann of Windy Corner today. He was a stalwart in the District will be greatly missed. Moth Colin’s funeral will be this coming Thursday at 13H30 for 14h00. The service will be held at the Selcourt Methodist Church, Granada Road in Selcourt Springs. It is behind Springs Boys High. Dress will be Moth Uniform (Blazer) with medals.